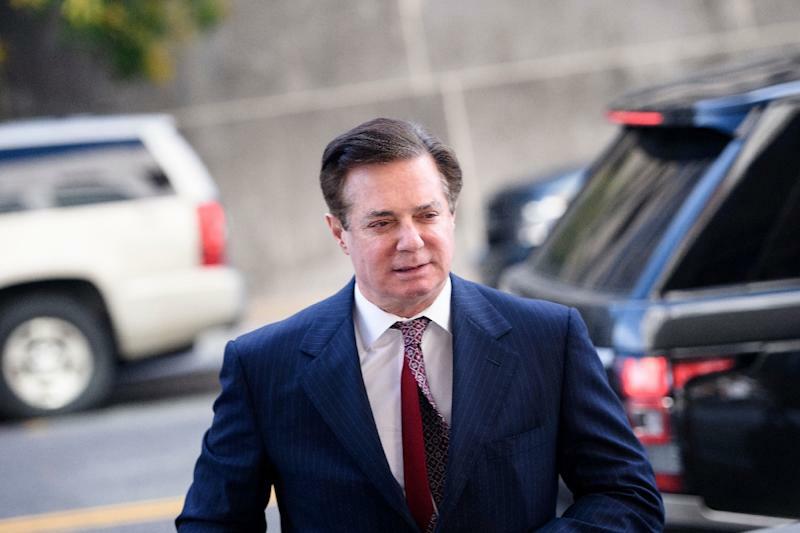 Washington (AFP) - President Donald Trump's former campaign chief Paul Manafort faces up to 24 years in prison after being found to have violated his plea deal with Special Counsel Robert Mueller's Russia investigation, a court document filed Friday said. Mueller's office said it agreed with a Justice Department calculation that Manafort should face "235 to 293 months, a fine range of $50,000 to $24,371,497.74, a term of supervised release of up to five years, restitution in the amount of $24,815,108.74, and forfeiture in the amount of $4,412,500," the filing said. Earlier this month, federal district judge Amy Berman Jackson agreed with prosecutors that Manafort had "intentionally" lied to investigators about his contacts with a suspected Russian operative, Konstantin Kilimnik, in 2016 and 2017 -- despite having pledged to cooperate as part of his September plea agreement. Jackson also ruled that Manafort had lied about a secretive payment he made to a law firm, and lied on another occasion when investigators queried him about a separate, still secret investigation related to the Mueller probe. The ruling meant that Mueller no longer has to abide by the deal, in which Manafort agreed to plead guilty to two reduced conspiracy charges, carrying a maximum sentence of 10 years in prison. Manafort is one of seven former Trump campaign associates who have been charged by Mueller's team. He was convicted in August in a Virginia court on eight charges of banking and tax fraud related to his work for Russia-backed political parties in Ukraine between 2004 and 2014. He was separately charged in Washington with money laundering, witness tampering and other offenses, which were consolidated into the two conspiracy charges in the plea bargain.